Our toothbrushes are made exclusively with USDA Certified 100% Organic Bamboo. Our bamboo is certified as organic by CERES of Germany. All of our bamboo is sustainably harvested and single-origin. This means that all Brush with Bamboo toothbrushes are made entirely from bamboo that is harvested from a single geographic area in China that we have certified as organic and natural. The toothbrush handle is carved by skilled artisans in a Chinese mountain village with more than a thousand year history of bamboo craftsmanship . Before carving, our bamboo is boiled in water and dried in a heated oven (the oven is powered by waste from the bamboo carving process – a sustainable cycle!). 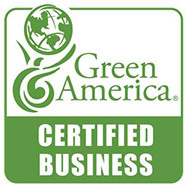 The entire process is chemical-free and natural (which is why we are able to certify organic). Like tea and silk, bamboo is one of Ancient China’s historic gifts to the world. Bamboo is biodegradable, naturally antibacterial, and one of the most sustainable resources on Earth. This variety of giant Moso bamboo is panda safe – it is not food or habitat for pandas.